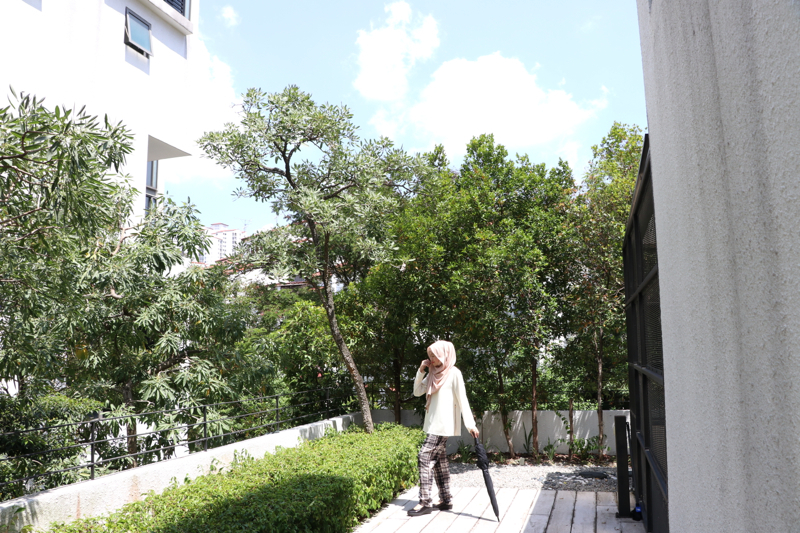 There is a Malay saying, “sediakan payung sebelum hujan” which means to prepare your umbrella before it rains. So when I was asked to review this umbrella by Blunt, I did just that. I took this umbrella out, waiting to test it for a rainy day. Unfortunately (or fortunately) it hasn’t rained for a while. But I always keep my umbrellas handy and nearby just in case it rains. I don’t want to be stuck in the rain without an umbrella. My first impression of the Blunt umbrella is that it is very well made. When I hold it in my hand, I can feel that it is not too heavy, and yet not flimsy. You know that it is strong enough for that heavy downpour and the strong winds. When closed, it looks very small and thin, there’s no hint of the canopy at all. And when I opened it, I was quite surprised at the size of the canopy. They did a good job of hiding the actual size. The first thing that caught my eye is the unique tip. It’s not pointy, but curvy. The company calls this, their Blunt Edge. It’s good so that it doesn’t poke anyone’s eye out accidentally. 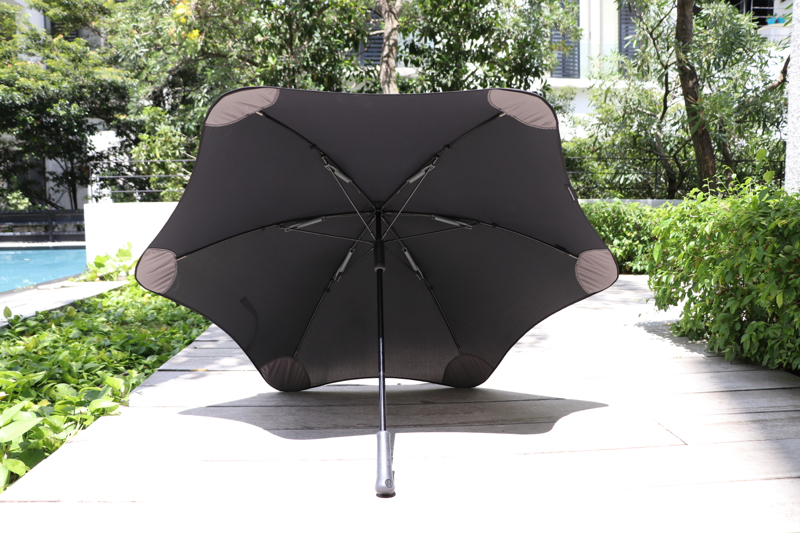 It’s part of their design to ensure maximum functionality and design of their umbrellas. 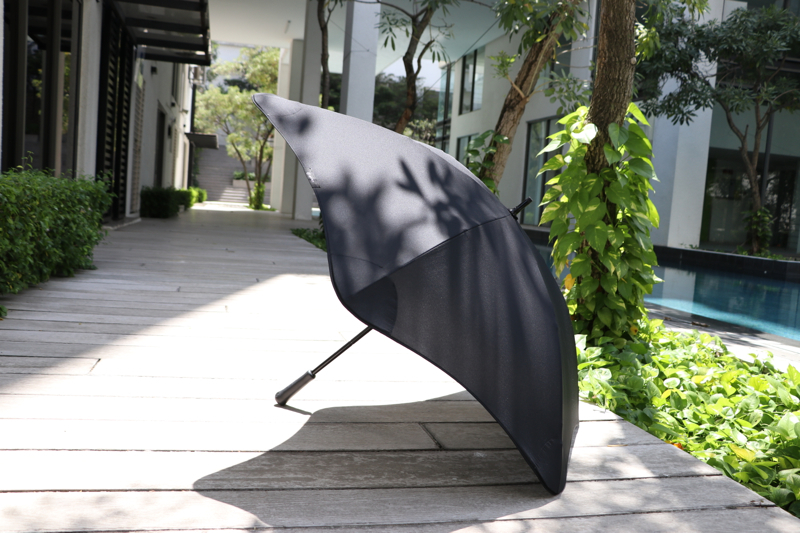 Apart from that, the whole umbrella is very sleek and durable. And it really looks stylish too. Blunt has patented its hi-tech design for their umbrella. It also comes with a 2-year warranty, showing that Blunt is very confident of its longevity. If you haven’t heard of Blunt, they are a company that has devoted themselves to making the best umbrellas, hence their tagline: World’s Best Umbrellas. And they take this seriously. Apparently, their umbrellas have been proven and tested to withstand Force 12 winds of more than 117 km/hour. I haven’t tried it out in those winds yet (I don’t think I want to either), but it’s comforting to know that this umbrella means serious business. The Blunt umbrella is also environmentally friendly too. You won’t need to change umbrellas constantly, thereby leaving minimal carbon footprints. You know, all those umbrellas that you had to throw away because they only work once or twice and then be damaged the moment there’s a heavy rain? Well buying a Blunt umbrella solves that because you no longer have to throw away your damaged umbrella. The Blunt umbrellas come in different models and sizes and colours too, so you can have your pick. I personally loved this model that I received. I like my umbrellas big so that when it rains, there’s lesser chance of me getting wet! Oh, and I can share it with my hubby as well. Check out their range at http://www.bluntumbrellas.com/my. Having an umbrella is very handy, especially in our country where the weather is either lots of sun or lots of rain. And as you can tell when I took these photos on a sunny day, it’s also very useful to block out the bright sun. Bottom line is that this is a very good and serious umbrella. I think I can retire all my other umbrellas and stick to my Blunt now, come rain or shine. For more information, do check out their FB page here and IG page here.